Playoff Preview: Golden Knights vs Sharks - The Point Data-driven hockey storytelling that gets right to the point. The Sharks can put the puck in the back of the net. They finished tied for the second-most goals for and had four 30 goal-scorers this year. 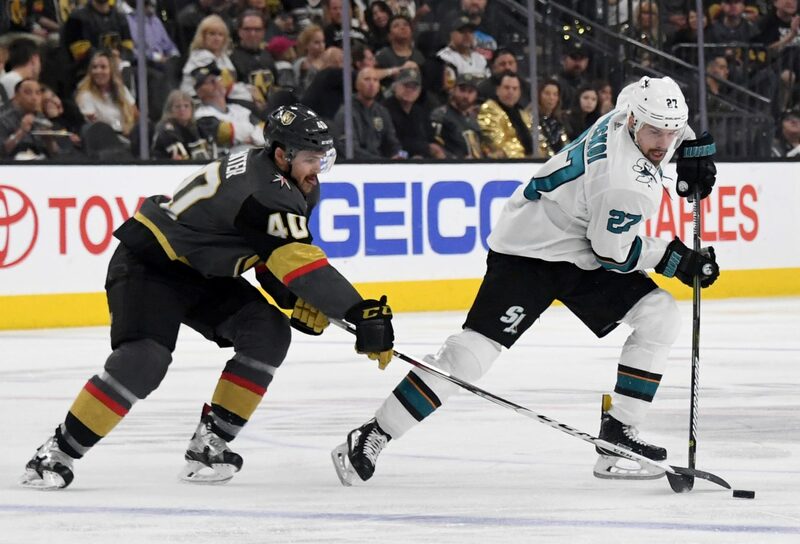 On the back-end, they have two of the best offensive defensemen in the game, Erik Karlsson and Brent Burns, along with one of the best shut-down defensemen around, Marc-Edouard Vlasic. The Sharks use a strong cycle to wear down the opposing team before striking hard and fast. They can play the heavy game often seen in the playoffs, Evander Kane being the perfect blend of skill and size to excel in the post-season. A pivotal area of the ice for the Sharks will be their blue line and limiting the Knights’ zone entries. Vegas has been guilty of forcing entries leading to turnovers that San Jose can capitalize on. The Sharks finishing sixth in limiting controlled entries and have been good at forcing teams to dump the puck in. Holding their blueline and creating turnovers that lead to odd-man rushes the other way will be the key to the Sharks victory. They have a potent offense that won’t miss too often if given high-quality opportunities. Vegas pulled off what might be the best Trade Deadline move by acquiring Mark Stone from the Ottawa Senators. Adding Stone gave the Knights one of the best two-way forwards and one of the deepest forward groups in the league. Stone has more blocked passes in the offensive zone than any other forward this year while recovering on average the third most loose pucks by any forward. 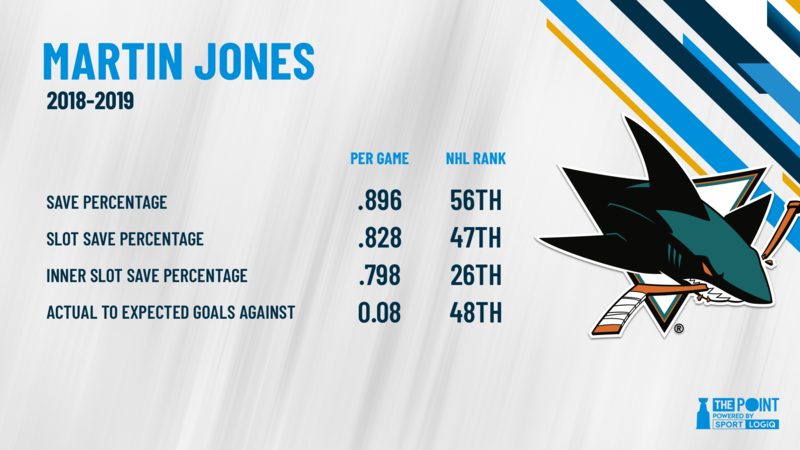 One of the biggest reasons for Vegas to pull off the upset is the play of Martin Jones. The Sharks goalie has had a tough season. If he can’t turn it around in the post-season, Vegas needs to take advantage of it and use their depth to send wave after wave at him. Vegas didn’t have the strongest start to the season but they’ve had a great finish and looked primed for another long playoff run.